Patriot America Plus and Safe Travels USA are similar plans, but one may be better for you depending on your needs. 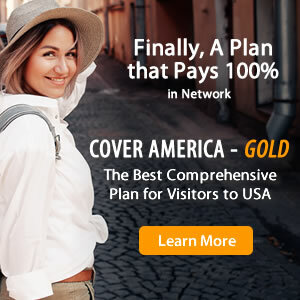 Both Patriot America Plus and Safe Travels USA are comprehensive coverage plans, which means they are percentage-based policies. They are good for international travelers visiting the US or traveling outside their home country. Patriot America Plus and Safe Travels USA have PPO networks and offer acute onset of pre-existing conditions coverage. Travelers over the age of 80 can purchase Patriot America Plus or Safe Travels USA. For more information, refer to the comparison chart below. Credit Card Travel Insurance: Is the Travel Medical Coverage Enough?